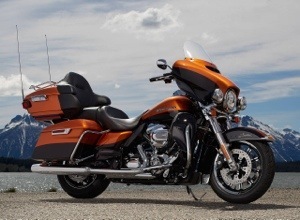 Just heard from the fellas at the Pace Poscast that Harley has announced tire introduction of a water cooled engine to go into some of their touring bikes in 2014. The design helps with overall performance and emissions. Will the the Harley traditionalist riot? I don’t believe so. Harley is mainly introducing a cooling system around the heads. It’s a long time coming. I’m sure the new adopters will really enjoy the added performance and comfort from they water cooled hogs. This entry was posted in Motorcycles and tagged Harley, Twin cooled. Bookmark the permalink.